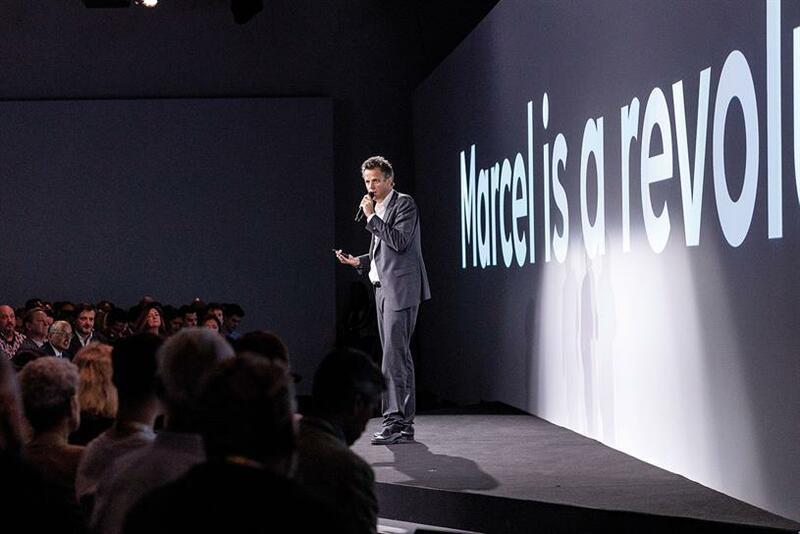 The launch of Marcel will, according to Publicis Groupe chief executive Arthur Sadoun, "break the industry" by removing "the barriers between talent and opportunity". "It’s time to face facts, and it’s simple. Agencies have remained the same for the past 20 years while the world changes around us. Incremental change will not save us now. We need to break it and reinvent it," Sadoun said during a briefing with Campaign, just ahead of the formal launch of Marcel. But is this technological solution really so revolutionary that every agency group will need to produce its own version of Marcel? Procter & Gamble’s chief brand officer, Marc Pritchard, seems to think so. "Many of us rue the day that creative and media split… and Publicis is leading the charge for consolidation," he said during a speech at Viva Tech in Paris last month. "Marcel is able to completely reinvent the way [Publicis] handles creativity. Publicis is disrupting the industry and this is nothing short of revolutionary. They are living the model of ‘vive la difference’." Despite this ringing endorsement from Pritchard, others in the industry remain less convinced. Former Group M global chief digital officer Rob Norman, who currently sits on the boards of several technology companies, respects Publicis’ attempt at tackling the problem but is not sure that Marcel will prove "revolutionary". "Marcel appears to be an attempt to answer an old question in distributed and diverse enterprises: ‘What if all knew what we all know?’ An answer that works is significant. If you can deliver collective expertise to the point of need, you are likely to create value," Norman said. However, as he noted, all agency groups have their own internal communication system and database. "‘Inside WPP’ is an example of an intranet that’s widely used. It enables the business but has not revolutionised it," he said. Few details have surfaced about Inside WPP and Norman clarified that WPP’s solution is not comparable to Marcel. Nevertheless, if Marcel’s AI works as promised, it will have an impact, Norman added. "It implies that Marcel will find better connections and answers more quickly as usage grows. It will do so by recognising patterns, responding to them and perhaps altering its underlying data structures," he said. Both Norman and Tim Hussain, managing principal of Ebiquity Tech, were concerned that Publicis Groupe’s proposed revolution will be hampered by the "people factor". While the right platform can change human behaviour (Facebook, Airbnb and Uber are examples), it remains to be seen whether Marcel can change the behaviour of the humans who work at Publicis. "Lots of technology ideas fail because people focus on the tech, not the sociological and anthropological changes that need to happen," Hussain said. "Even in our organisation, the implementation of something fairly basic like Salesforce is hampered, as people won’t sign up and use it properly. [This is] because people, as individuals, don’t like change. Marcel could very well be an expensive white elephant." Norman added that Marcel will be only as good as the data fed into it and the vigour with which it is used. "Marcel needs to be constantly re-informed and its taxonomies kept current," he pointed out. Hussain is also concerned that the "no going back" approach that Publicis has used to promote and talk about Marcel could influence the behaviours of its testers by leading them to be overly positive about the experience. What Sadoun views as a necessary line in the sand to commit the business to change, Hussain views as an implementation error. "Any tech product you build, you should always be completely open to scrapping it. If it provides no value to the 1,000 testers, will Publicis [scrap it]?" he asked. Hussain remains sceptical that Marcel will ever be more than a PR stunt for Publicis Groupe. "This is not a must for the industry. I don’t feel it’s addressing a pressing need on the agency business models or the wider industry."